With the weather in Carrollton, TX, it’s important to regularly maintain your home’s HVAC system. Air duct cleaning can help to improve the air quality in your house and ensure that your central air and heating system operates at peak performance. If you or your loved ones suffer from allergies, regular maintenance can also help fight off some of the worst symptoms. Doing air duct cleaning yourself can be more dangerous than not doing it at all. If you’re not careful, you’ll damage your duct system, causing declines in your HVAC’s performance. 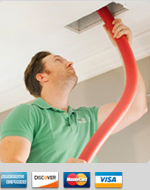 We provide full-service, professional duct cleaning to homes all over Denton, Dallas, and Collin counties. We know what it takes to clean your HVAC the right way, without causing any damage. Carrollton residents have plenty of options for duct and vent cleaners. Home improvement stores will try to sell you do-it-yourself supplies. Plumbers, heating techs, and other handymen will offer to do the cleaning as a second service. In North Texas, your HVAC system is essential to the comfort of your home. Don’t trust an amateur in air duct cleaning. Turn to the experts. HVAC system problems can be costly to resolve and disruptive to your home life. Hiring us for regular air duct cleaning is the best way to extend the life of your system and maximize its performance. 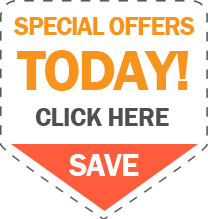 Our highly trained experts will clean out your system and make sure that it is running flawlessly. We have more experience and better tools than the competition. 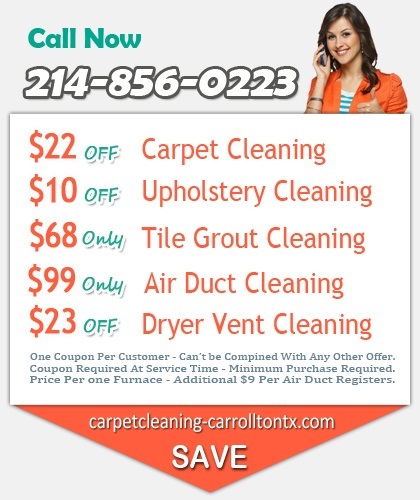 Simply put, we are the best, most thorough air duct cleaners in Carrollton. We know what it takes to keep your system clean without doing any damage. We’ll make your house comfortable for you and your family. No matter the weather in North Texas, you’ll feel right at home. 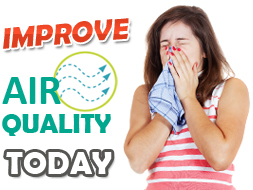 Breathe easy, knowing that your HVAC system is in expert hands. Contact us today!